Are you using the world and its man-made systems as your guideline, or are your decisions and choices inspired by the Word of God and His commandments? 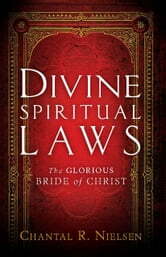 In this guide to powerful and sanctified living, Chantal R. Nielsen sheds light on God’s divine spiritual laws--the Ten Commandments. You will learn what they mean, how to obey them, and what God promises if you choose to obey. The Ten Commandments are the ultimate guide to living a blessed and prosperous life. They are just as relevant today as they were in biblical times. God still honors the covenant He made with Moses and the Israelites: if you obey, He will open the floodgates of blessing over your life and the impact will be felt for generations to come; if you disobey, you will face the consequences. 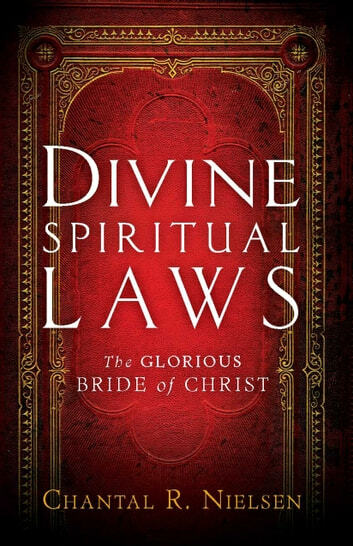 Divine Spiritual Laws will help you study the Word of God and better understand the Ten Commandments, so that you can walk blameless in God’s sight. The bride of Christ needs to get back to the basics of obedience and sanctified living before her Bridegroom returns. It is time for the church to arise and shine, and reflect the glory of God to the world!